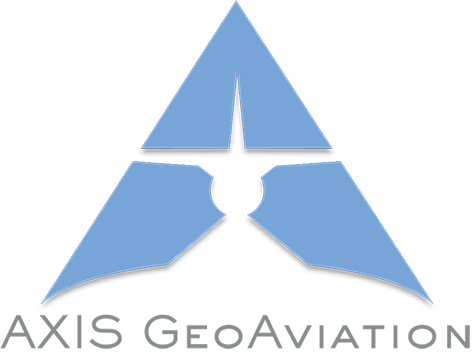 EASTON, MD (1/9/2019) – AXIS GeoAviation, LLC (AGA) is pleased to announce the newest addition to its fleet; a Vulcan Air P68C Twin Engine aircraft. The additional plane allows AGA to support future aerial surveying and mapping projects in the Southeast US, Caribbean and nationwide. AGA’s sister company, AXIS GeoSpatial, LLC (AGS), recently acquired Mapping Resource Group, Inc. of Florida with a significant customer base in the Southeast and the Mid-Atlantic regions of the US and the Caribbean. The Vulcan P68C provides the additional capacity to serve AXIS’ clients, as well as versatility in that it is fast enough for aerial imagery collection yet can be flown slower and at lower altitudes to capture higher density LiDAR data. 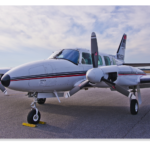 Additional aircraft in AGA’s fleet include a Cessna 206H and a Piper Navajo. In addition to its growing fleet, AGA has expanded its capability to collect LiDAR data through the purchase of two RIEGL VQ 1560i dual-channel airborne mapping sensors. AGA invested in the additional LiDAR sensors to meet the increasing client demand for higher density datasets. As experts in Hi-Definition LiDAR acquisition, AGA offers survey data collection, processing and classification for design scale mapping of airports, college campuses, environmental remediation, highways, railroads, pipelines, corridors, and other design and maintenance projects. Currently, AXIS GeoAviation is the only company on the East Coast of the United States to own two RIEGL VQ 1560i sensors. The new acquisitions bring the total assets owned by AGA to three fixed-wing manned aircraft, two Unmanned Aircraft Systems (UAS), one Vexcel UltraCam Eagle system, one RIEGL LMS-Q1560 LiDAR sensor, and two RIEGL VQ 1560i LiDAR sensors. 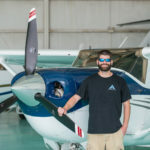 AGA currently employs four pilots and eight crew members operating out of its Easton, Maryland and Ormond Beach, Florida hangars. AXIS GeoAviation LLC (AGA) is a leading provider of advanced LiDAR technology and aerial imagery for surveying, mapping and photogrammetry firms in the U.S. Established in 2012 in Easton Maryland, AGA with an additional location in Ormond Beach, FL, provides hi-resolution aerial imagery and LiDAR data. The firm utilizes state of the art aerial cameras, sensors and aircraft to collect quality data in a timely manner for various local, state, federal and private sector clients. For more information, visit axisgeoaviation.com.